To wrap up the E92 M3 project-- for now-- we have a few smaller items to report on, specifically brake lines and pads. Since we added power and handling capability, stopping the beast becomes an issue. The size of the stock brake system on the E9x series M cars is well up to the task of burning off speed under normal conditions. 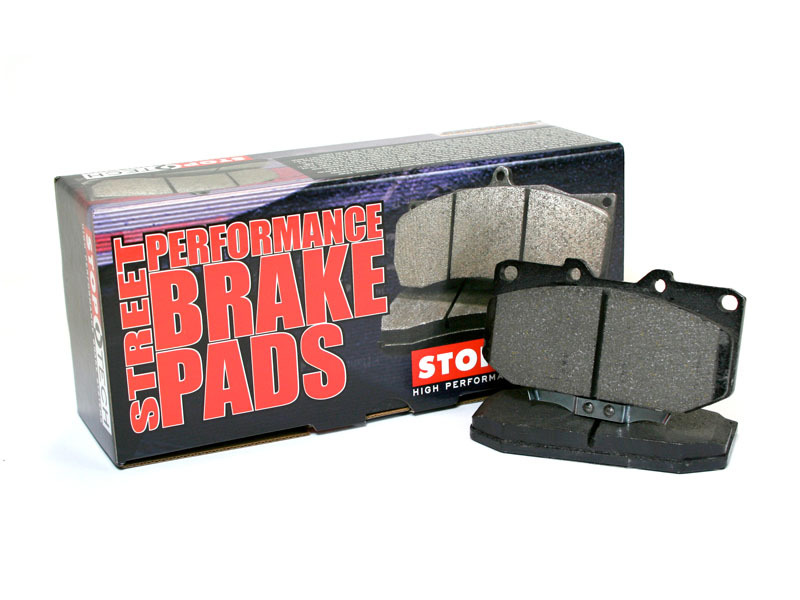 But the stock brake pads are skewed to everyday use providing good, noise free and dust free stops. We're more interested in stopping capability from the pads so we searched for an upgrade. The best compromise between on track performance and everyday liveability comes from StopTech's Street Performance line of pads. They're inexpensive and have proven to be very capable at the track. For better braking "feel" we swapped out the stock rubber brake lines with some stainless steel braided lines. By not expanding under pressure, the braided lines provide a better, more linear feel when you apply the brakes-- especially during very hard braking. So that's the project E92 for now; but there are a few things left on the agenda like wheels and tires, and a seat. The customer has been scouting out a wheel and tire package on his own-- wheels really are a very subjective thing. Our only caveats to him were to look for a strong yet lightweight design for the wheels, up the width marginally (more so in the front than the back to help counter the inherent understeer of the suspension set-up) and keep the rolling diameter the same. As for seats, if you're 6'-2" or above, the stock seats do not provide enough headroom while wearing a helmet. The best bet is to find a good, comfortable race seat that is thinner with adjustable seat brackets. Check back here as the winter season comes and goes for periodic updates.